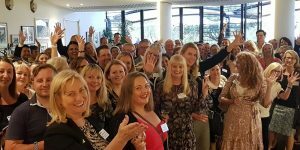 Mobile Travel Agents has commenced a round of nationwide functions to say thank you to the hundreds of industry partners and suppliers for their support throughout the year. The functions kicked off at The Pavilion in Sydney’s Royal Botanic Gardens where CEO Don Beattie and members of his head office team along with 33 MTA Advisors personally thanked the close on 90 partners and suppliers in attendance with champagne and hampers. “We recognise and fully appreciate the support of our industry partners suppliers so it’s great to be able to turn the tables for a change and personally thank them,” CEO Beattie said. MTA will stage similar functions in Melbourne, Perth, Brisbane and Adelaide in coming weeks.